In addition to MORE and The Guardians: Book Two in the MORE Trilogy, Franklin penned the Amazon best-selling short story, Window, as well as another short story, A Piece of Cake, which appears in the Romantic Interludes anthology. How did you get started writing, and why did you want to write? I’ve written since I was a little girl – poems and stories, that kind of thing. 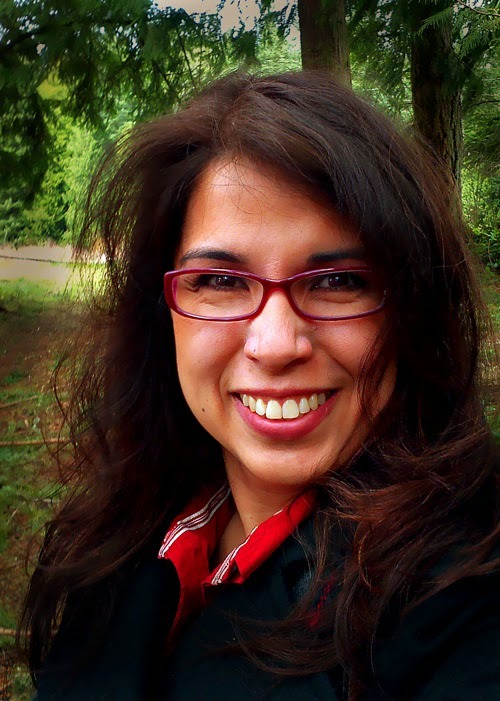 I worked in TV news after I graduated from college, so my writing was limited to non-fiction in the form of news stories for a while, but after I left the TV station, I decided I wanted to get back to writing fiction. There’s something satisfying – and fun – about putting a story down on paper. And having people read those stories is so rewarding. What made you decide to go the "indie" route? My publisher actually approached me. One of their authors is a writing friend of mine, and she’d told them I was working on something they might be interested in. They came to me and requested a sample, then the full manuscript. It made sense to me to go indie, rather than self-publishing, for several reasons. One, I was so new to the whole publishing process and I liked the idea of having a publisher behind me to guide me through it all. The editing process was also important to me, and they had a pretty thorough editing system in place, which was great. Finally, the financial aspect was a big draw. Having a publisher take on the upfront production costs – printing, distribution, etc. – took a lot of the pressure off. Tell us about the books you have available now, and about those that you're working on. 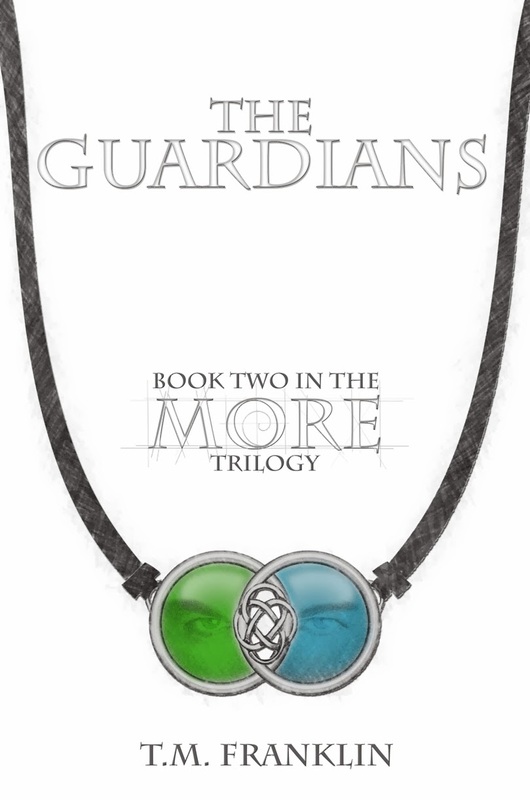 The first two books on the MORE Trilogy are out right now – MORE and The Guardians. 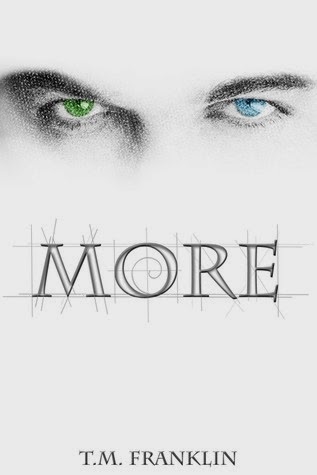 MORE is about a girl named Ava who discovers there’s an ancient Race of people who’ve evolved alongside humans and are superior to humans in a lot of ways – they have some superior abilities, for example – but they live in secret and see her as a potential threat. So, Ava has to figure out why that is, and how she fits into this strange, new world. In The Guardians, she learns her role is even more significant than she could have ever imagined. I’m currently working on the third book in the trilogy, which will be released in October, 2014. The third book will be a culmination of a lot of twisting plot points and a lot of the questions raised during the series will finally be answered. I have two short stories out as well. 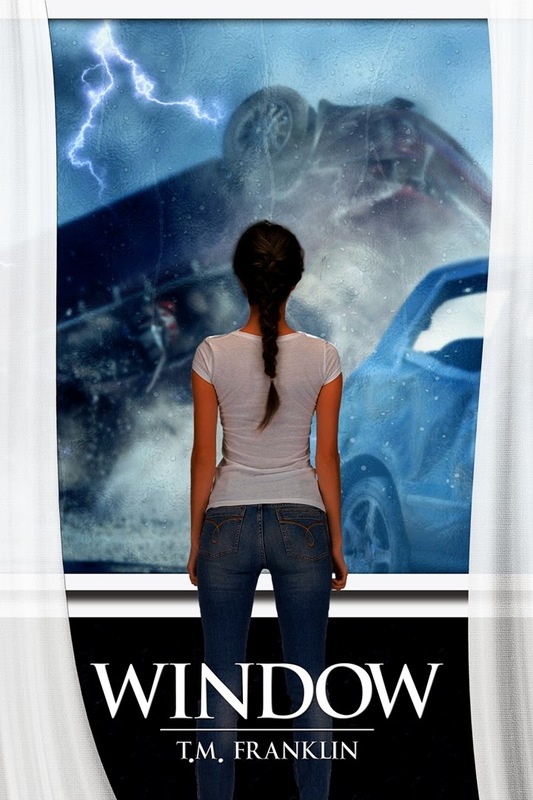 Window is about a girl who gets visions of the past, present, and future through the picture window in her living room. 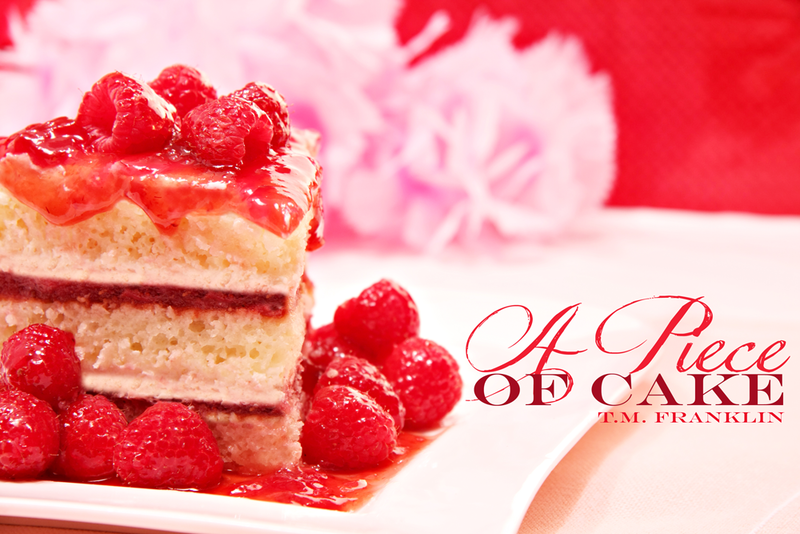 A Piece of Cake is about a match maker who, like all the women in her family, has a special gift for helping others find love. The problem is, she doesn’t actually believe in love. 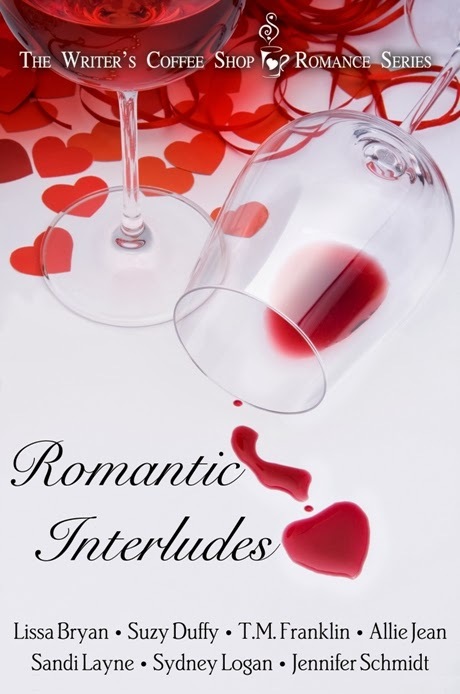 A Piece of Cake is part of an anthology of love stories called Romantic Interludes. Finally, I’m working on a YA romance about a quirky boy who’s okay with being a little different. He sets out to win the girl of his dreams and does it in his own unique way. It’s called How to Get Ainsley Bishop to Fall in Love with You and it’ll be released in June of 2014. Of the stories you have out now, which is your favorite? Do you have a favorite scene or character that stands out? Right now, I’d say The Guardians is my favorite, simply because I learned so much writing MORE and I think the sequel is better because of that. I think it’s faster paced, and I really enjoyed expanding on the character of Tiernan. We didn’t get to see much of him in MORE, and what we did see was pretty frightening. Getting to know him better, and developing his relationship with Ava was a lot of fun. What would you like to tell your readers? What would you like to say to potential readers? I say it to my readers all the time, but I can’t say it enough: Thank you. Thank you for taking a chance on an unknown author. Thank you for taking a chance on an unknown story. Thank you for the support, reviews, and encouragement. I really can’t express how much it means to me. To potential readers, I’d say if you like adventure stories with paranormal/fantasy elements and a little romance as well, I hope you’ll give MORE a chance. And let me know what you think! There are many, many indie books and authors out there right now. How do you work to stand out? There are so many schools of thought on that, and I’ve tried a lot of things since I decided to publish. I’m active on social media and try to interact with people on more than a “buy my book” level. I blog. I guest post. I do author appearances. But in the end, I think the most important thing I can do is to write the best stories I can. I try to write books with compelling characters in interesting situations and a few plot twists to keep the reader guessing along the way. I hope that’s enough! What's your favorite part about being an author (both as writer and publishing books), and what's your least favorite part? I have two favorite parts. One is finishing a manuscript. That’s so satisfying, even though there’s still a lot of work between typing that last period and the publication date. The other is interacting with readers who’ve enjoyed my books, either in person or online. It’s incredibly rewarding and makes all the hard work worth it! My least favorite part? I guess I’d have to say marketing. It’s a never-ending process and there’s no way to really know what will work, so it’s very much a trial and error kind of thing. It’s just difficult to figure out what’s the best investment when it comes to marketing – both of time and money. Thanks so much for having me today, and thanks to all of your readers for their attention. If you give my books a try, I hope you enjoy them!